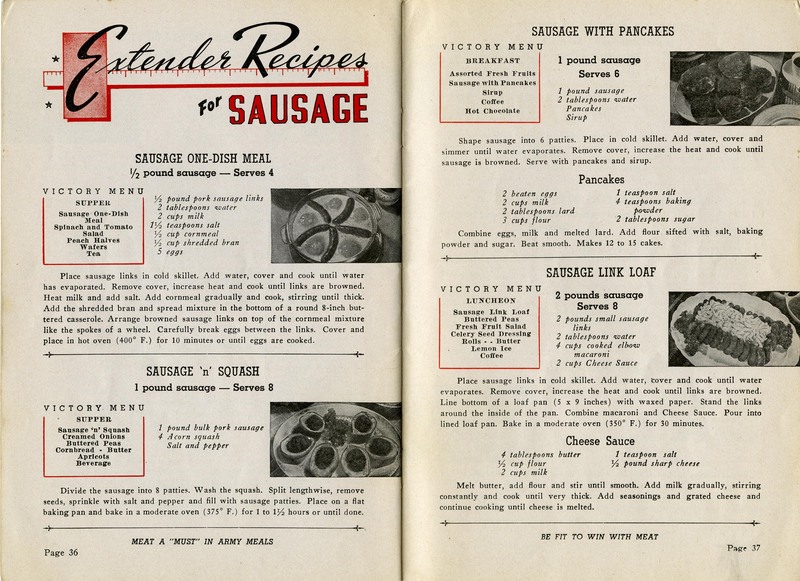 world war II – What's Cookin' @ Special Collections?! Recent conversations with students and a book I finished not too long ago have given me a case of “substitution” on the brain. In other words, during World War I and II, what was taking the place of standard ingredients, or even processes, that were rationed or needed elsewhere (sugar, flour, meat, and even alcohol)? So, I was delighted by a recent story from NPR’s “The Salt” about just this topic: Save The Fleet, Eat Less Wheat: The Patriotic History Of Ditching Bread.” It’s a quick read, but definitely worth it! 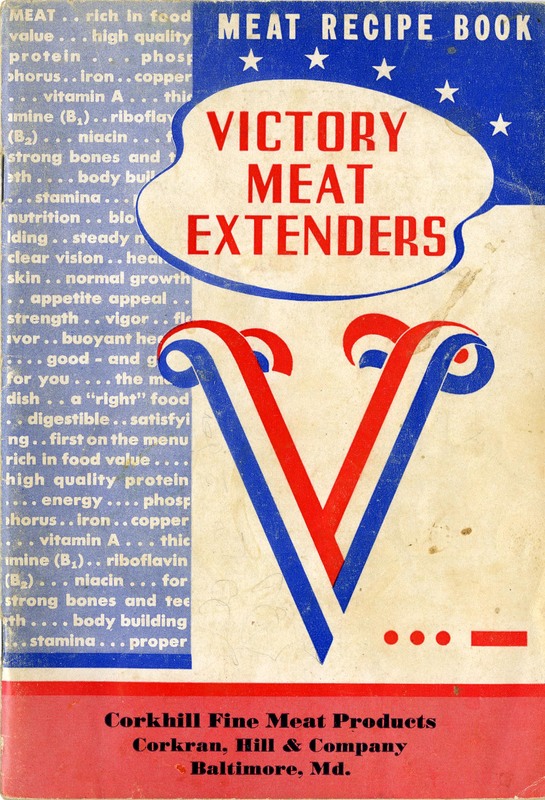 Victory Meat Extenders was published during World War II. 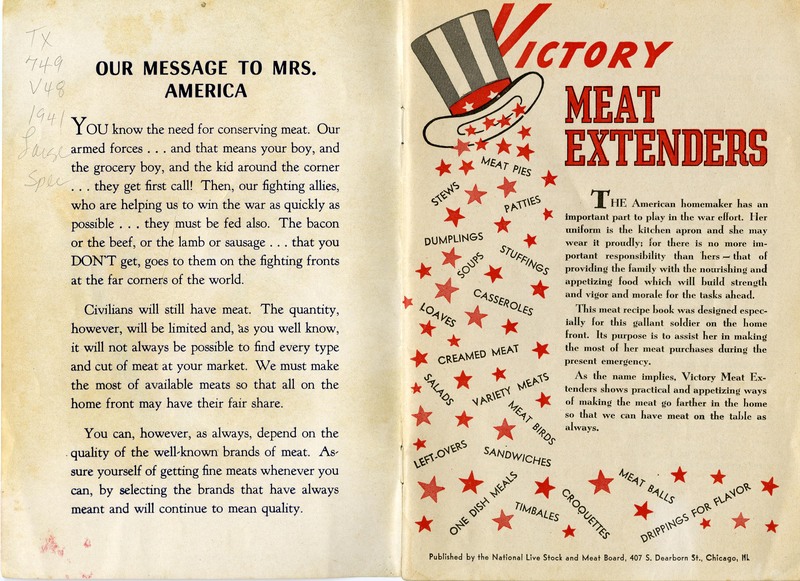 A publication by the National Livestock and Meat Board, distributed by Corkhill Fine Meat Products (Maryland), it’s part meat advertisement, part meat propaganda, part war propaganda. 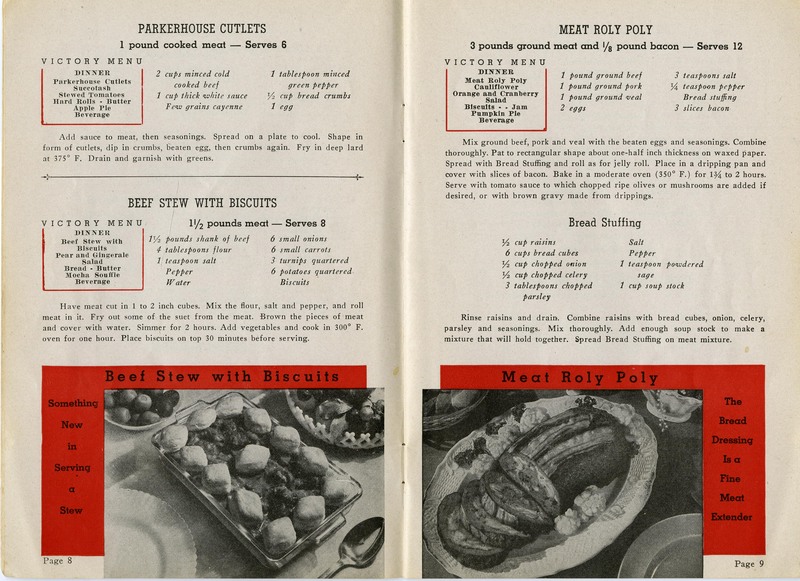 The majority of the booklet features recipes for various types of meats: beef, pork, veal, lamb, and variety (read: organ) meats. More on all that in a minute. Before we get to the recipes, though, there are some other things to cover. 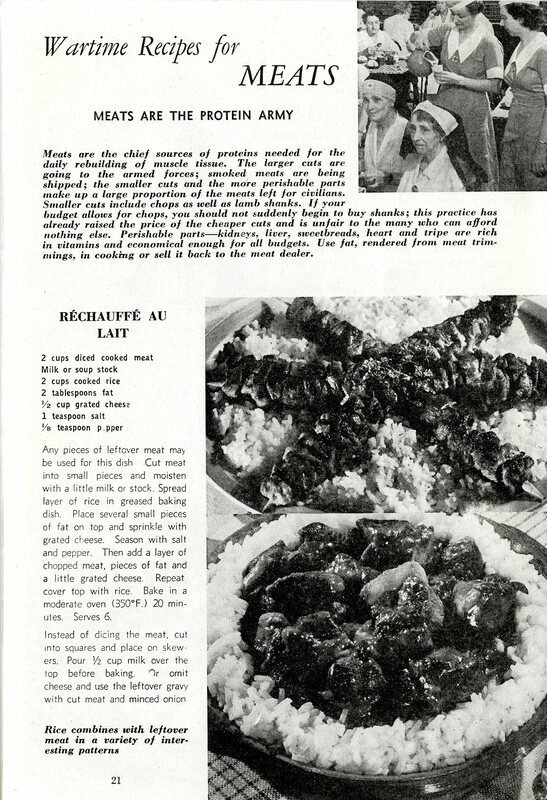 The first two pages are focused on the purpose of extending proteins (more specifically, meats) in wartime. 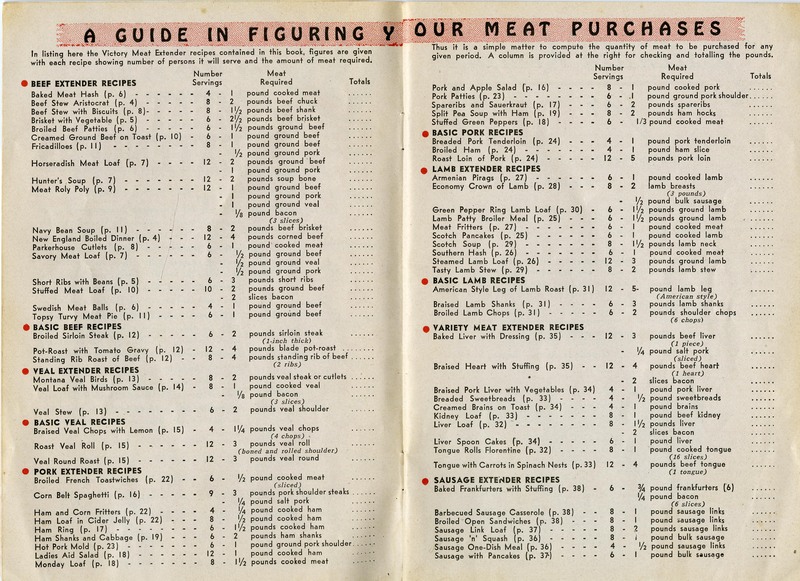 The next two pages consist of a handy guide for buying the quality meats you’ll still find in stores! If you’re a follower and/or reader of “What’s Cookin’ @Special Collections? 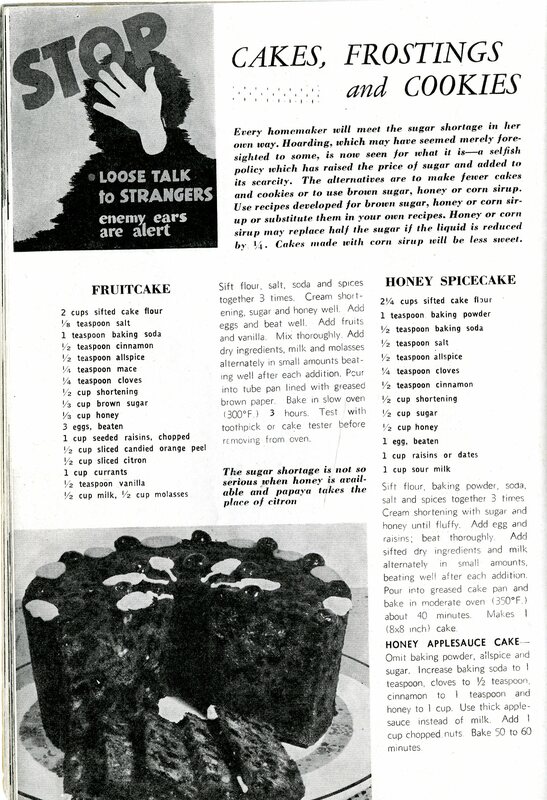 !” the recipes shouldn’t surprise you all that much. The idea of rationing and extending food supplies for victory is nothing new here and the way to go about it, despite the range of publications, is still usually similar. You’ll see lots of added veggies and grains, use of less appealing/cheaper cuts, and a fair share of organ meats. The recipe names are worth a look, too. Some are straighforward (“Baked Meat Hash” or “Roast Veal Roll”), some are creative and inspiring (“Ladies Aid Salad” or “American Style Leg of Lamb Roast”), and some leave you wondering. 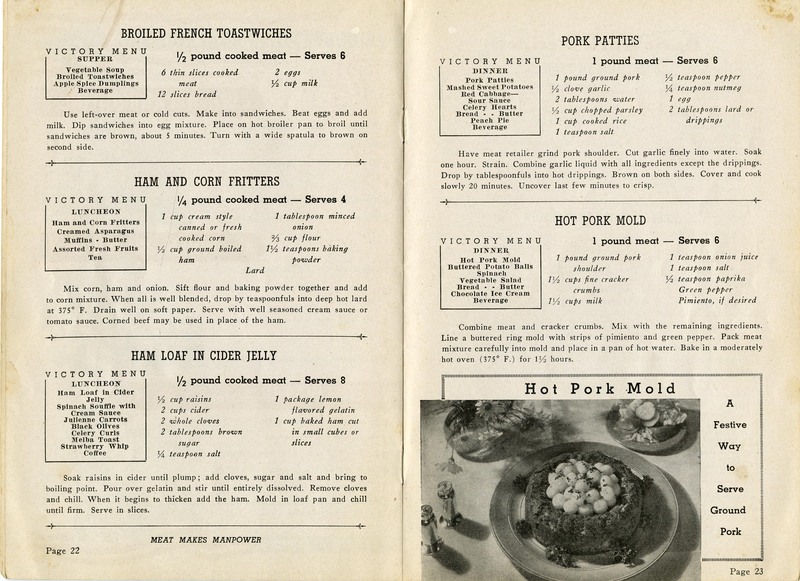 “Meat Roly Poly,” “Monday Loaf,” and “Scotch Pancakes” may leave modern readers with more questions than say, a desire to cook said dishes. As for the organ meats, well, perhaps the less said the better. Fans of kidney, liver, tongue, and sweetbreads, I leave it to you to visit us and view for yourself. The publication does leave us on a high note, including a series of suggestions for using/reusing bones, trimmings, and drippings for everything from gravy to frying to baking. You’ll also find a reminder to balance meals from all the food groups, and a pledge to retailers about supplying meat. “How to Pack Lunch Boxes for War Workers.” 1943. “Westinghouse Speed Electric Range Recipes.” 1956. In 1886, George Westinghouse founded the Westinghouse Electric Company. Three years later, it was renamed the Westinghouse Electric & Manufacturing Company. The first of our pamphlets dates to 1943. The publications produced by the Home Economics Institute were only a small part of Westinghouse’s efforts during World War II. Their equipment was used in radar, they developed engine parts, and employed workers in factories in Pittsburgh. 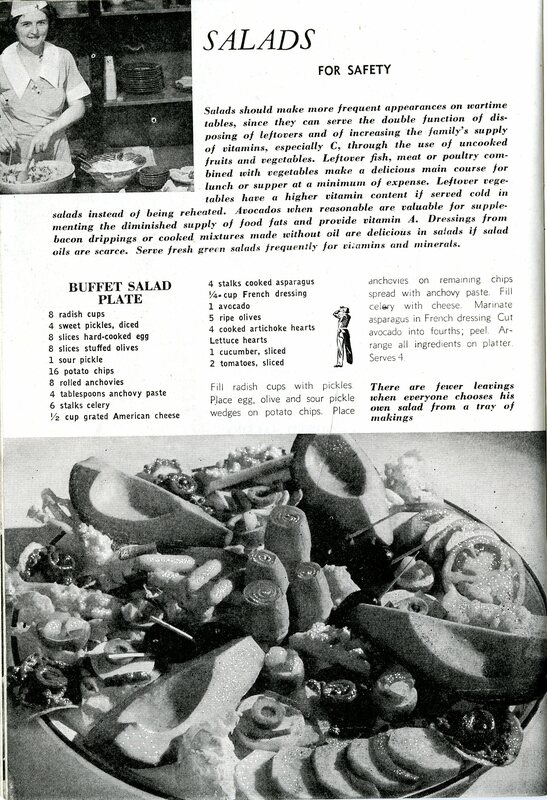 “Flavor Zone Electric Cookery” was probably published about around the same time (or even earlier), before the name changed to Westinghouse Electric Corporation in 1945. Two years before the publication of “Westinghouse Speed Electric Range Recipes,” a companion to the oven unit itself, the company launched the slogan that appears on the back cover. (The company has a more complete timeline of events, depicting the its long and complex history, available online.) The final pamphlet features classic and not-so-classic uses for a waffle iron. It contains recipes for plain, fruit, nut, and even meat-filled waffles. It also includes directions for making cakes, cookies, breads, sandwiches, and omelettes, all with a waffle iron! The relationship between of appliance producers and recipe/information booklets is hardly surprising. It seems a short step from an instruction manual to a pamphlet on how best to use an appliance and what you might make with it. 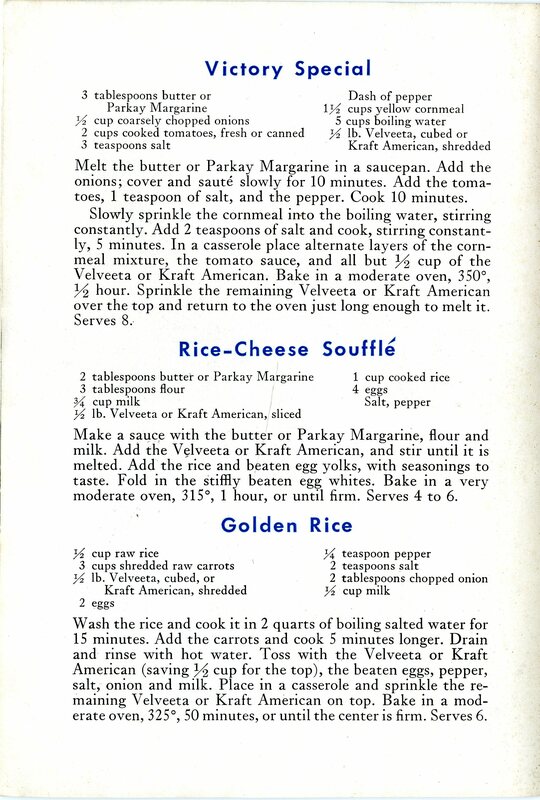 The short introduction to “Westinghouse Speed Electric Range Recipes,” addressed to “Mrs. Homemaker” may seem a bit patronizing, but it makes it does serve its marketing purpose: electric ranges were a big step in efficiency in the kitchen. And efficiency was an important value in the post World War II domestic sphere. Even “48 Delicious Recipes Waffle-ized” taps into this theme, providing recipes that suggesting you can get a whole meal (and not just breakfast) out of a waffle iron. Why use multiple appliances, when you can produce a meal with just one? Last year, with so many new culinary pamphlets from the 19th and 20th century piling up around us, Special Collections decided to create a collection just for these little gems: The Culinary Pamphlet Collection, Ms2011-002. 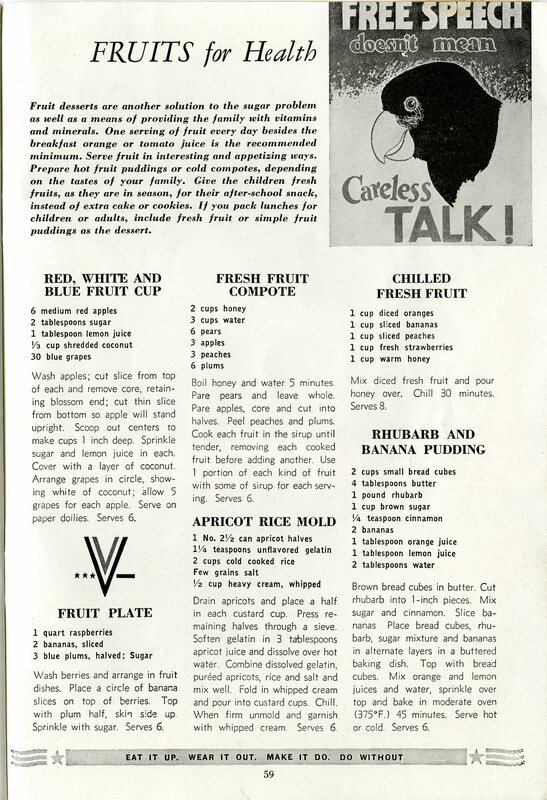 And we’ve featured one or two of them before (“Lunch in Wartime” and “Canned Meat…at the Beach!” for example). This week, we’re sharing three pamphlets from three different companies/institutions, all with a common theme: Victory! 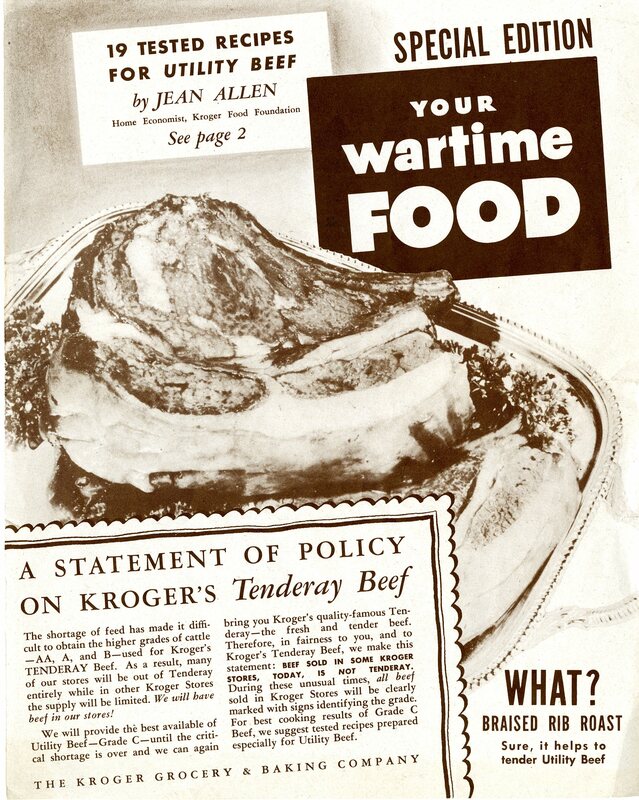 First up, there’s the four-page “Special Edition: Your Wartime Food” pamphlet, c.1941-1945, from Kroger Grocery & Baker Co. (later Kroger Company). It includes a selection recipes using cheaper cuts of meat (aka “utility beef”) and/or stretching better cuts a little further. 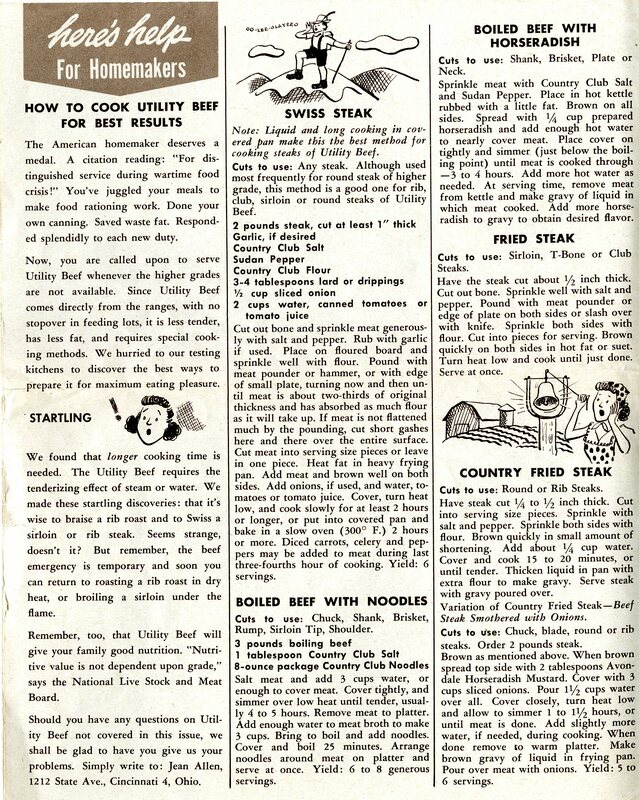 In addition the pages pictured, there are also instructions for basics like beef stew and pot roast, as well as sauerbraten, “American Chop Suey,” beef steak pie, and stuffed steak. Cheese was a great source of protein under rationing, and even it could be stretched to help feed a family. 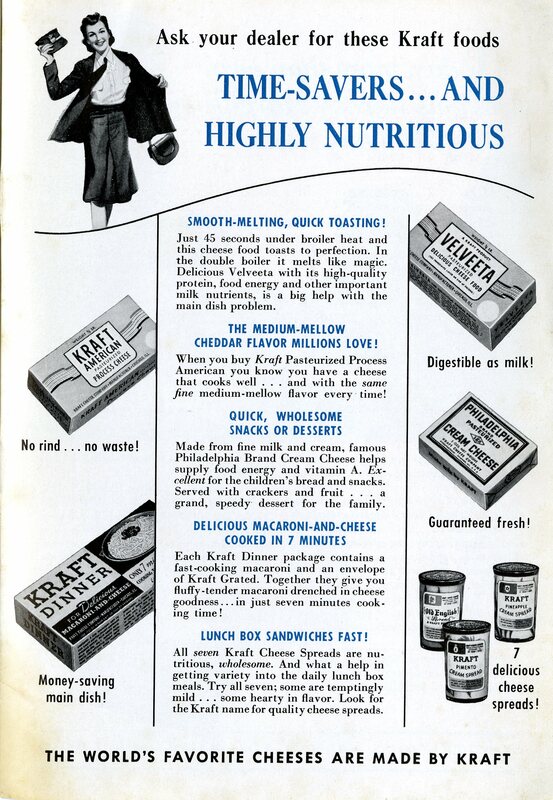 The modern Kraft, Inc. has had a series of names over time (10 names changes since its early days as “Kraft Cheese Company” to be exact!). 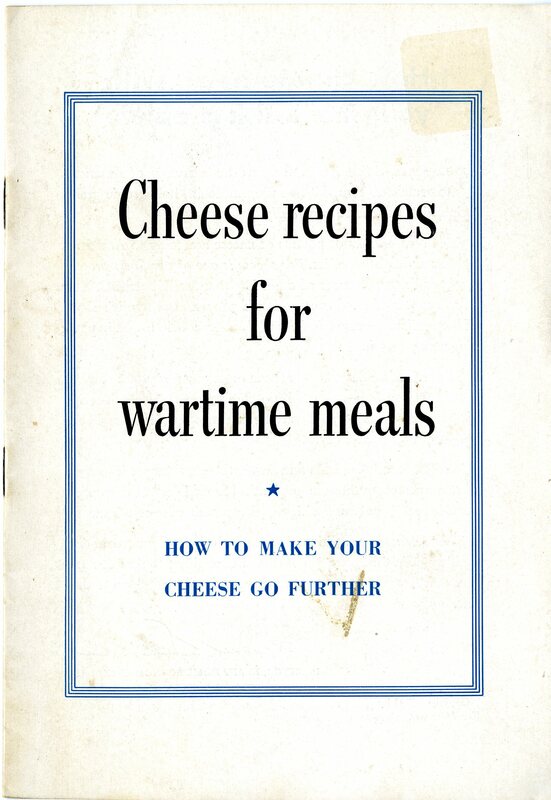 It is hardly surprising that they produced some useful pamphlets during World War II, including “Cheese Recipes for Wartime Meals: How to Make Your Cheese Go Further” in 1943. 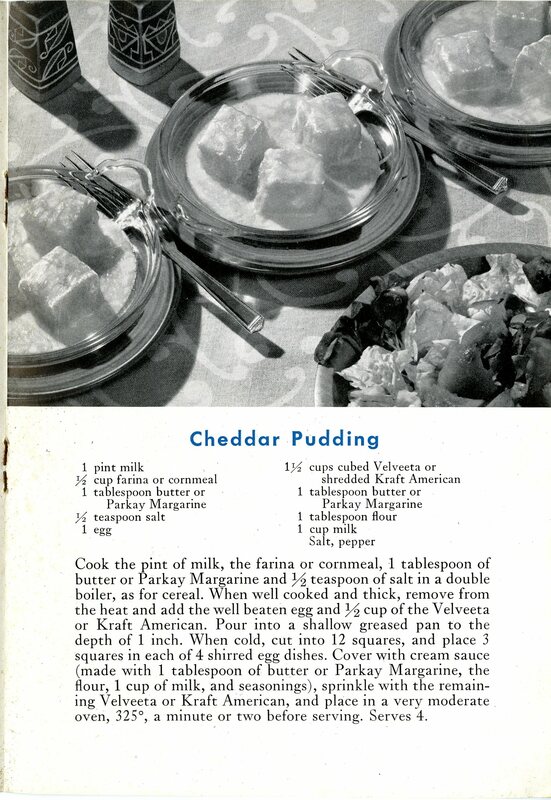 While the black and white images may not to the dishes justice, this small publication contains cheese recipes for roasts, casseroles, vegetables, egg dishes, strata, puddings, and sandwiches. 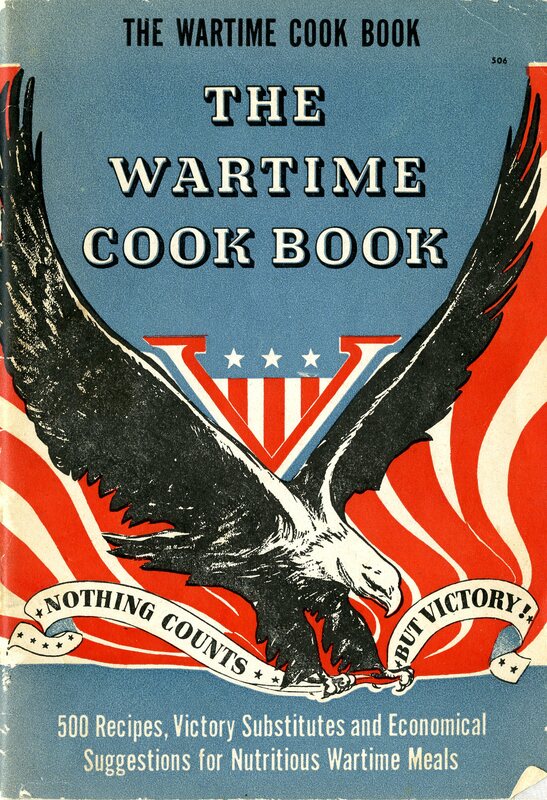 Lastly, for this week, we offer The Wartime Cookbook: 500 Recipes, Victory Substitutes and Economical Suggestions for Wartime Needs from 1942. In addition to recipes, the booklet is filled with slogans, small photographs, logos, and explanations of what foods are available and why. There is also a good deal of nutritional information throughout. There is a finding aid for the Culinary Pamphlet Collection, with a list of pamphlets available online. Just keep in mind, this collection is ALWAYS growing. From Jell-O to shredded wheat, from olive oil to shortening, and from waterless cookers to blender–the collection includes pamphlets and small publications from food companies/councils, appliance makers, insurance companies, and restaurants/hotels. They all offer different perspectives, some creative recipes, and a more than a fair share of colorful illustrations. It’s DEFINITELY worth a visit and a look! World War II continued to change the relationship between food and family. 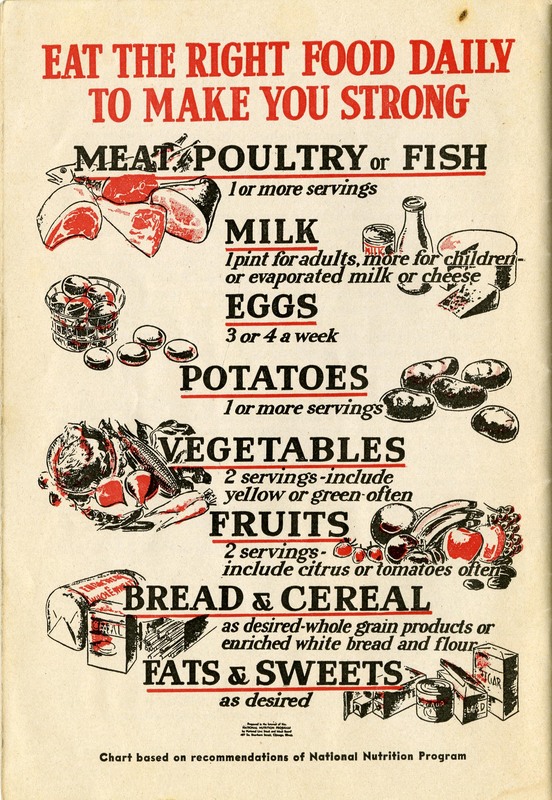 Pamphlets like this one provided suggestions on how to balance rationing with supporting working family members and other war efforts at home. 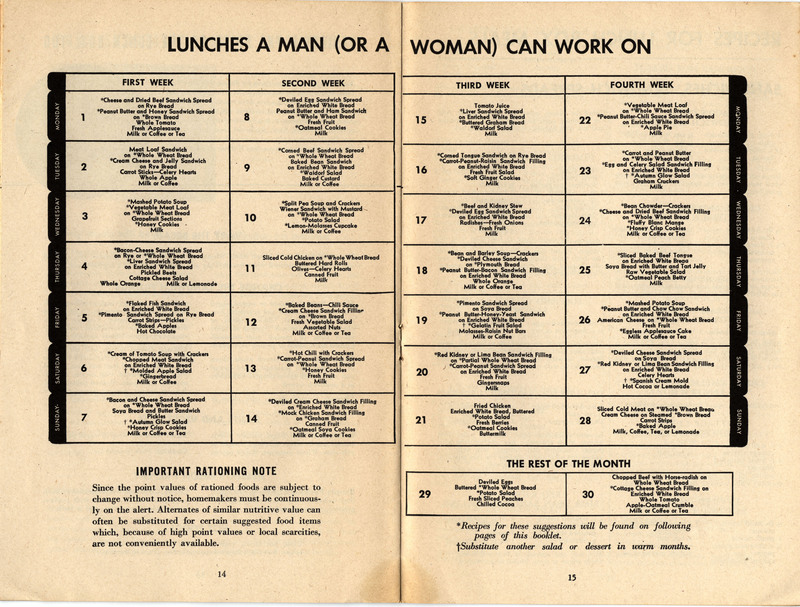 “How to Pack Lunch Boxes for War Workers” included a detailed meal plan for lunches on any shift, regardless of gender—a factor we don’t usually mention when planning meals today. The aside in the second picture “(Or a Woman)” acknowledges the growing roles of women outside the home…although traditional expectations are still being reinforced. 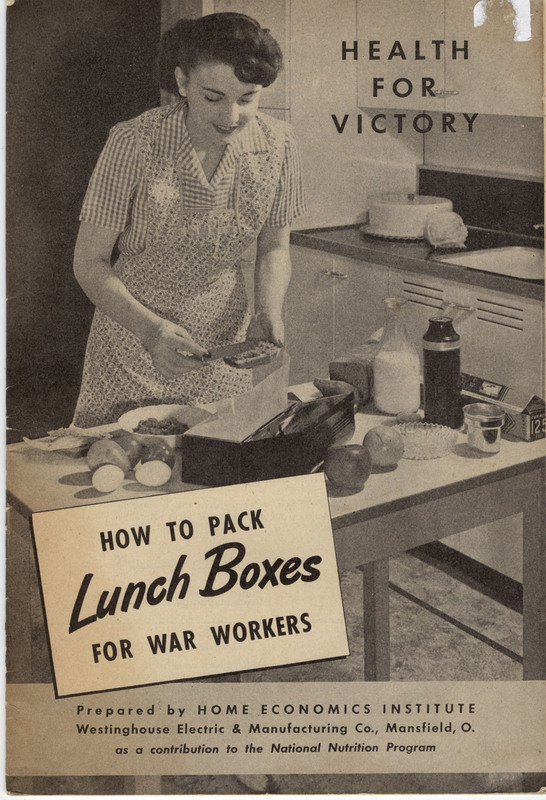 After all, SHE’S the one making lunch on the front cover, even if she was helping build bombers on the second shift. 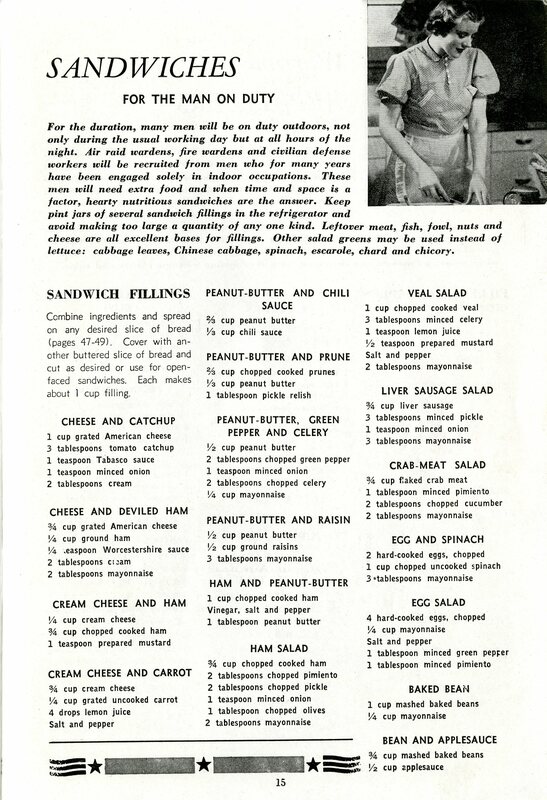 Oh, and when it comes to sandwich fillings, be sure to consider the “Mock Chicken” on Day 14, or the “Peanut Butter and Chow-Chow” on Day 26. Motivation to stop thinking about lunch and get back to work? Quite possibly! How to Pack Lunch Boxes for War Workers, 1944. Culinary Pamphlet Collection, Ms2011-002, Special Collections, Virginia Polytechnic Institute and State University, Blacksburg, Va.
Update: After several minutes of imagining the worst, curiosity got the better of me and I had to investigate the “mock chicken” issue. Rather surprisingly, it is made up of ground pork or veal, chopped carrot and celery, Chow Chow, and mayonnaise. (This is Kira, one of the archivists at Special Collections.) Anything other tantalizing items need further description? Post a comment and ask!